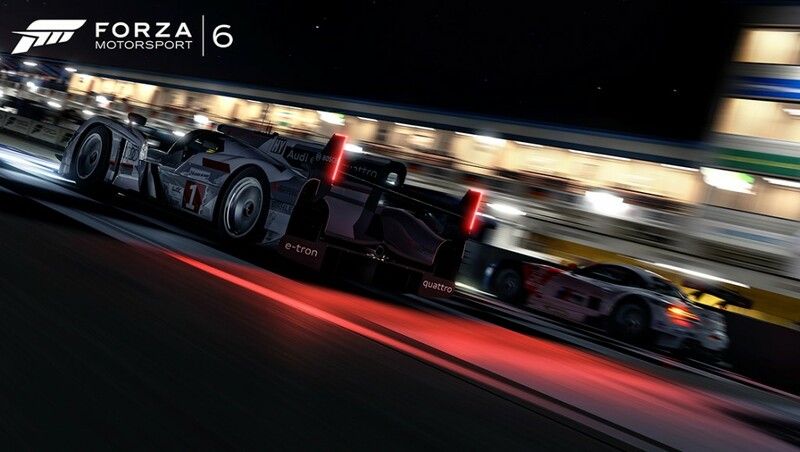 Forza Motorsport 6 is being marketed as the greatest Forza game ever made. It has more tracks, more cars and more weather than any other title in the franchise. 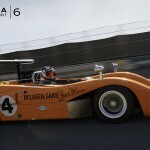 Forza Motorsport 6 is the best Forza game ever made, but that has a lot less to do with cars and tracks, and more to do with a myriad of small improvements across the game that make it a more cohesive, engaging and entertaining experience than ever before. It all starts with the visuals. 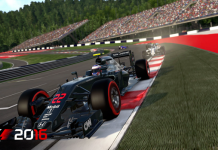 While Forza 5 was a visual masterpiece compared to its predecessor, the game still had some graphical issues in regards to jagged edges, harsh shadows and minor graphical imperfections in the environments. The game still looked miles ahead of any of its competitors, but it wasn’t as good as it could have been. 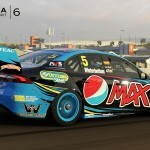 Since its release, other games like Project cars have come along ot raise the bar on eye candy, but Forza 6 rises to the challenge. Just about everything in the game looks better. The best part is that they did it all so subtly that you can barely tell. 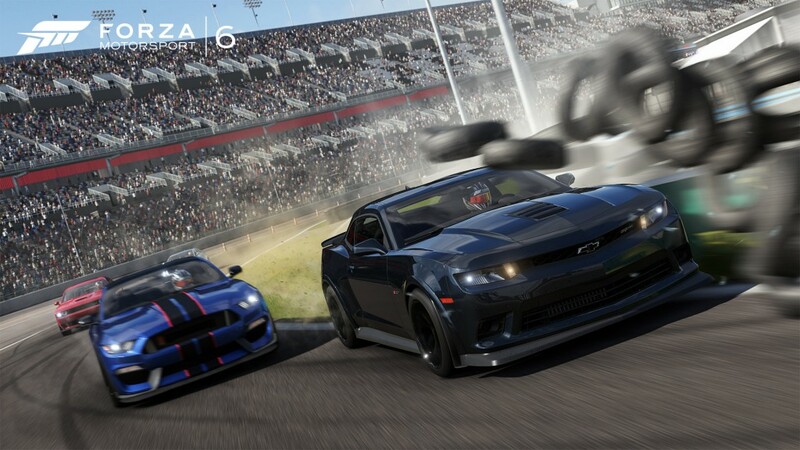 In a lot of tracks that were pulled from Forza 5 you can tell they look better, but you can’t quite figure out why. For the most part, enhanced textures, more detail work and an overhaul of shadows combined to provide the upgraded scenery. The game also feels a lot better than any Forza game before it. Microsoft and Turn 10 both spent a lot of time talking about how the new smaller rumble motors for the triggers would redefine how we play racing games by giving use greater feedback. 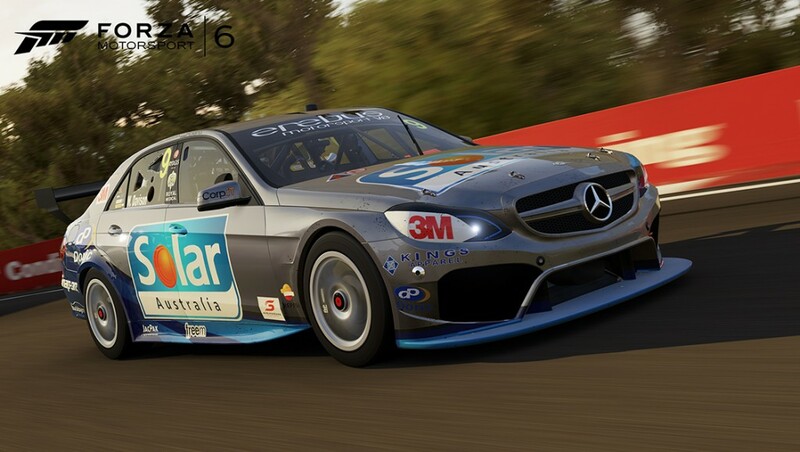 In Forza 5, this was little more than a novelty, but in Forza 6 makes that dream a reality. The way the controller reacts and responds with its feedback through all four of its motors provides a sensation unlike any other. Somehow, Turn 10 was able to craft a system that uses those motor to give real meaningful feedback. From the vibrating of the brake pedal if you engage ABS, to the subtle vibrations of the car as you pass over uneven surfaces, the controller is constantly talking to you about how the car is handling. Having your controller motors almost constantly does impact battery life quite a bit though. Between using a headset for wireless audio and the upgraded feedback, I can kill my controller battery in a single long night of play. That is a decrease of close to 2/3rds compared to regular. It would be a good idea to invest in the Microsoft’s rechargeable battery. 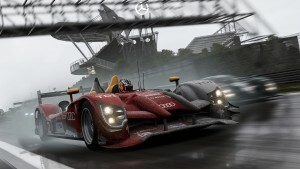 It is a good thing that Turn 10 managed to make controller feedback so much better, because they have made a lot of the races much harder with the addition of night and rain races. 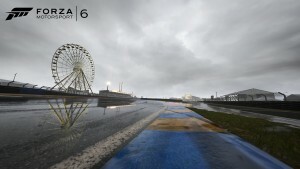 Forza focuses on realism above all else, so it only makes sense that night and rainy races will bring that same level of realism. When you race at night, track temps are colder, your tires don’t behave as well as they did in the day, and overall you have to be much more careful with your inputs to make sure you don’t go sliding off the road. And there is the visibility factor. 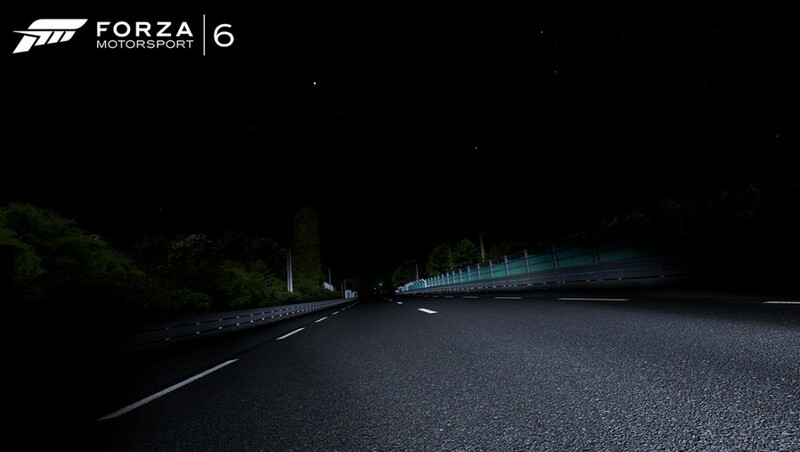 Like in real life, when it gets dark in Forza 6, it gets really dark. There is no odd blue twilight hue that makes everything slightly visible. Instead, everything that is not in the headlights of your car or a competitor’s looks deep, inky black. It makes racing at night feel much more dangerous and hectic. Racing in the rain is just as wild and interesting as racing at night. Instead of just lowering track temperature and calling it a day, Turn 10 has added in actual puddles across the track in real-life locations. These puddles are all completely rendered with physics based water so cars behave as they would in the real world. That means that if you hit a deep puddle mid-turn, your car is likely to hydroplane and spin. And that idea stretches across tires as well. Wider tires are less likely to cut through the water and reach the pavement underneath, so cars with extra-wide tires like Lamborghinis and the Viper are far more likely to hydroplane. It adds an entirely new dimension to the game. Also, if you are a fan of following the game’s built-in racing line. You need to stop when it comes to rain races. The line doesn’t change for wet races, and more often than not it will lead you straight into a big puddle sitting at an apex. Beyond the enhanced visuals and driving feel, the new game just feels better organized and presented. The new menu system is a variation of the menu from Forza Horizon 2 and it looks and works great. 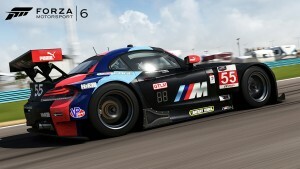 The career of the game is referred to as the “Story of Motorsport” and it is divided up into five “volumes.” Each of these volumes is dedicated to a certain class of cars, with the first class focusing on cheaper street cars, and the final class being dedicated to high-end racing machines. Each volume is split into a selection of “series” that cut the class down even further to segments like Vintage Hot Hatch. This minute classification system was also used in Forza Horizon 2. After you win three different “series” of varying race counts, you complete the “volume” and move on in the career. This system is a bit structured and minimal compared to the general freedom that Forza usually provides, but it also does feel like it offers the most comprehensive and logical series of progression the franchise has seen so far. While the upgrade path feels linear and progressive, it can get boring for some. To keep things interesting, occasionally you can unlock access to a Showcase event. 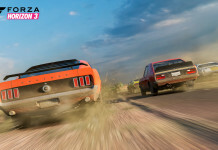 These events were born in Forza Horizon and they see players taking a particular car and completing a very particular task that is tailor suited to that machine. 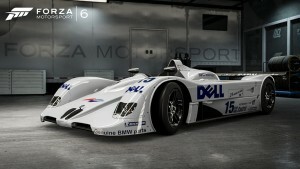 For example, the very first one players get to experience is driving an IndyCar around Daytona. It is a great chance to experience a historic racing venue with its most iconic race, the Indy 500. There are dozens of Showcase events across varying classes of cars and events. Of these events, you will also get to see the Stig and the Top Gear Test Track. Top Gear has been anintegral part of the franchise for several years now, but Forza 6 sees that integration cut back dramatically. 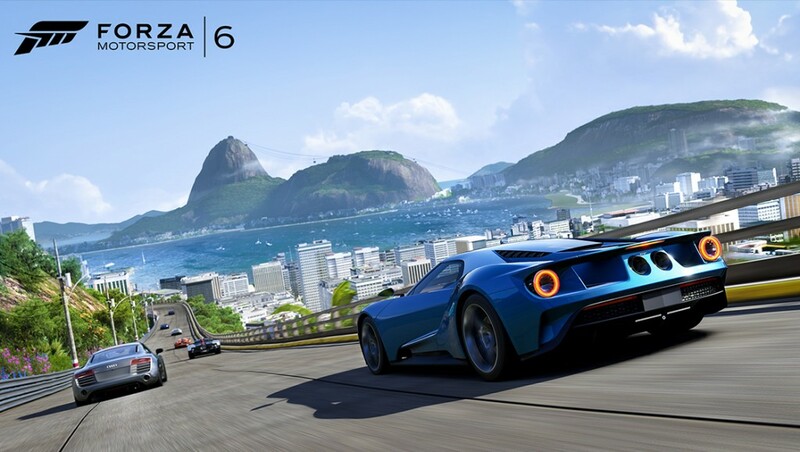 You still get to hear the voices of Jeremy Clarkson and James May as they narrate sections of the game in their special way, but after the huge implosion at BBC this summer, and the subsequent removal of Jeremy Clarkson and his colleagues from Top Gear, Forza 6 feels slightly gutted. There are just moments where you feel like there could have been better integration of the Top Gear brand or our three favorite presenters, and it’s just missing. The game doesn’t suffer for it, but it could have benefited. 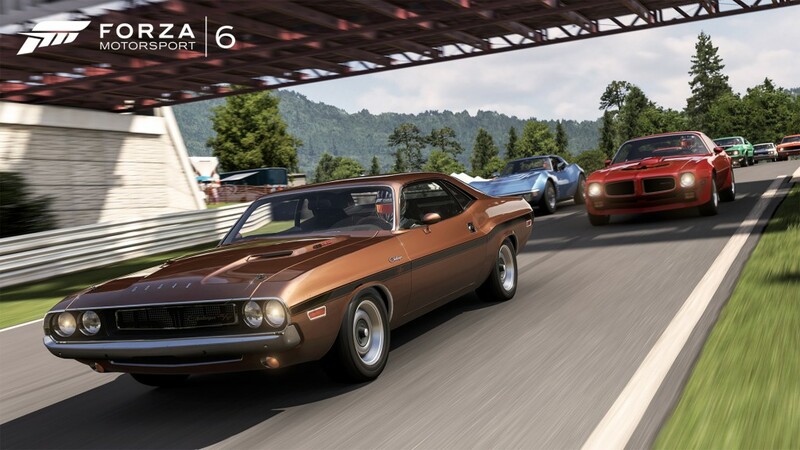 Stealing another trick from its Forza Horizon sibling, Forza Motorsport 6 makes use of a prize wheel system to reward players when they level up. Each time you gain a level you win a spin that will grant you various prizes. You can win cars, money or one of the new mod packs. 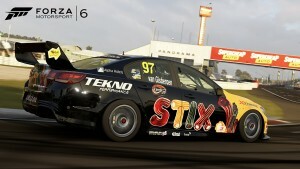 Mod packs are a curious and interesting addition to the Forza Motorsport franchise. As their name implies, using a mod will modify the game in some way that can help or hinder you. There are various kinds of mods that range from simple one-use items that will give you a bonus payout after a race, to multi-use items that can alter your grip, braking and more. These mods can also have positive or negative effects. While it may seem like a silly idea to add negative effects to your car, these mods increase your payouts by making the game more difficult. It is an interesting system, that can help players make more money if they are skilled enough, or it can provide just enough advantage to a player who is struggling to complete a particular race. Getting more mods is pretty straight forward. You can win them by playing through the game as prizes for reaching certain milestones with various manufacturers, or by winning then in the prize spins. You can also just buy them with in-game currency. The mod packs are all sealed units with a random selection of mods of varying ability and rarity. If you want a better likelihood of getting rarer cards, you can pay higher prices for more valuable packs. Currently this system uses in-game credits only, but it feels ripe for micro-transaction abuse. Speaking of micro-transactions, Forza 6 is happily devoid of the dreaded token system that would allow players to spend real world cash to be used in-game. 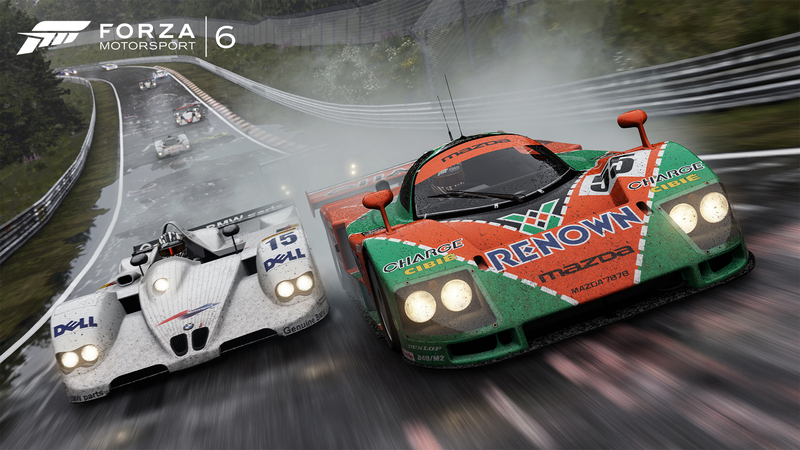 While the token system is gone, there are still plenty of extra ways to spend more cash on Forza 6. Aside from the base game, Turn 10 is offering a VIP Membership package and a Car Pass. The VIP Membership gives players access to extra cars, and it will double all their winnings across every race they enter. With an asking price of $19.99 it can be a steep addition to the base price of the game for some players, but the extra cars and extra credits make it feel worthwhile to me. If you can earn twice as many credits in the game, you can buy twice as many cars and upgrades. 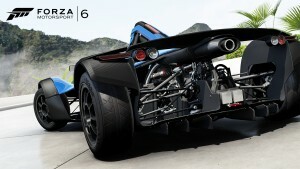 As for the Car Pass, you should buy it if you want all the future cars that are coming. 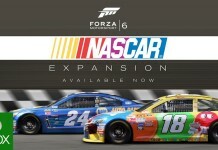 Forza typically charges $9.99 for a new DLC car pack, but the $29.99 Car Pass guarantees you access to every car pack that comes out in the first six months of the game. Basically it’s a 50-percent coupon for the various upcoming car packs. 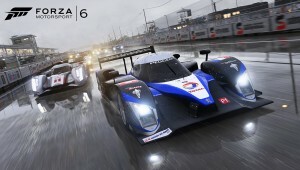 All in all, Forza Motorsport 6 is the best game of the franchise. 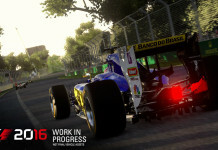 It has more of everything we know and love; more tracks, more cars, and more customization. 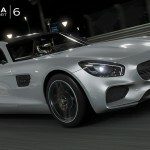 Turn 10 didn’t just add more stuff to magically turn Forza 5 into Forza 6, but rather they spent time refining and adjusting the game in hundreds of small ways that combine to make a game that is better to play, better to look at, far more enjoyable overall. 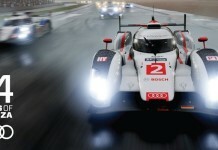 The addition of weather, night races on the new mod system also add to make the game feel fresh and more interesting. 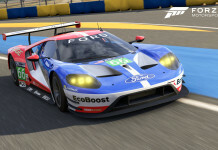 There is a solid selection of a great competitor titles available, but for my money, there is no better racing game available right now than Forza Motorsport 6. This is a must-have for any Xbox One owner. 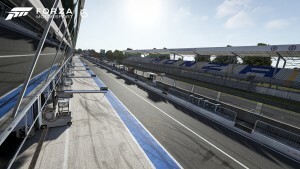 Previous articleForza 6 Motorsports is Available Now!